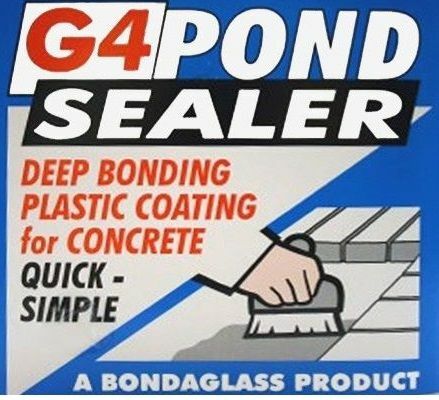 When building your pond from concrete you need to seal the last layer of concrete to stop water getting in and lime, which is harmful to fish and pumps, getting out. The most effective way to do this is with G4 Sealer. It is simply painted straight onto the cured concrete. There is a choice of clear (dries translucent) or black. 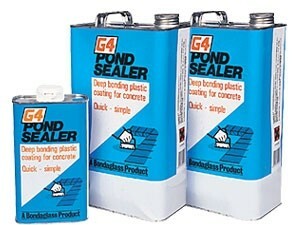 You can also use G4 to coat waterfalls, statues and other concrete products to make them safe for your pond. 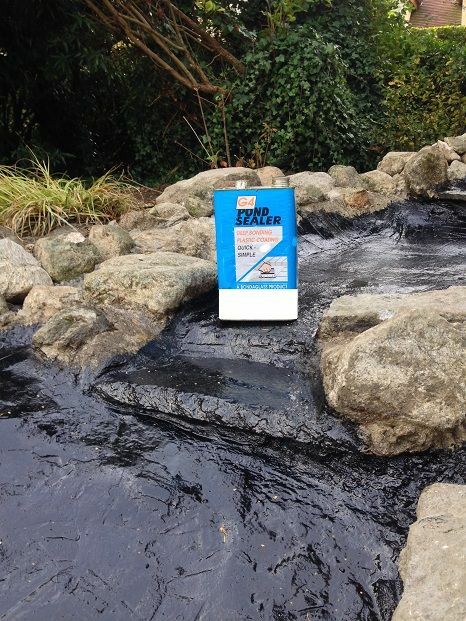 Coverage: One 5kg tin covers 8-10 square meters applying the recommended 3 coats. Apply to concrete that has chemically cured for 3 weeks minimum. 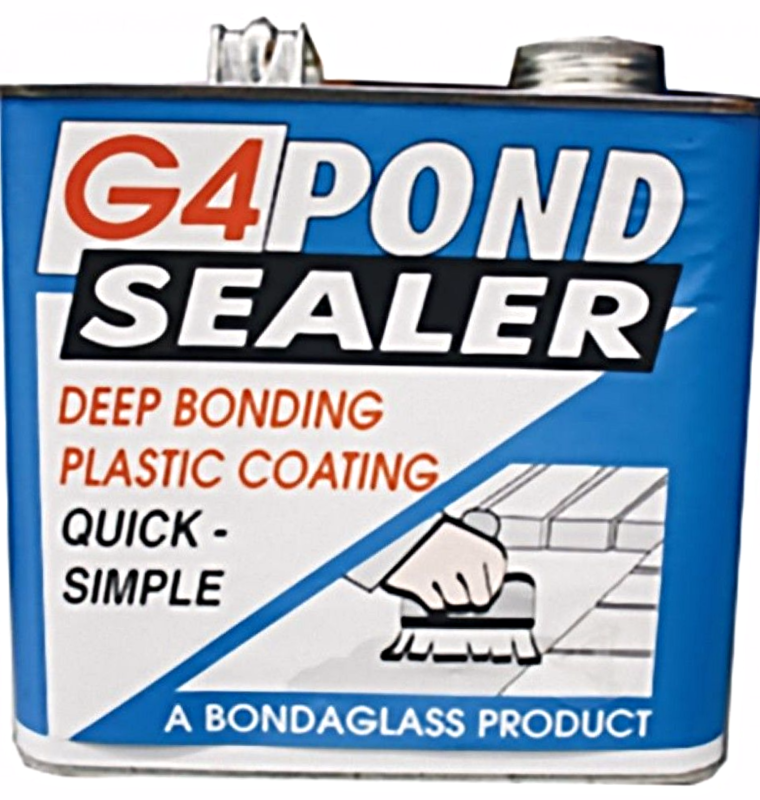 How much G4 sealer do I need? Coverage will vary slightly according to the porosity of the substrate. The coverage is based on practical experience gained from many users. The options are to choose G4 Clear only or to use G4 Black. Both options will seal a concrete pond, black finish giving the illusion of a deeper pond and black finish also highlights fish. To calculate how much G4 Clear you require first calculate the total surface area in square meters, then multiply by 0.55 eg 9sqm X 0.55 = 4.95kg so you should have a 5kg container. To calculate how much G4 Black System you require first calculate the total surface area in square meters, then multiply by 0.41 for clear and 0.4 for black eg 12 square meters X 0.41 = 4.92kg G4 Clear required and 12 square meters X 0.4 = 4.8 kg , so you should have a 5 kg container of G4 Clear and a 5 kg container of G4 black.